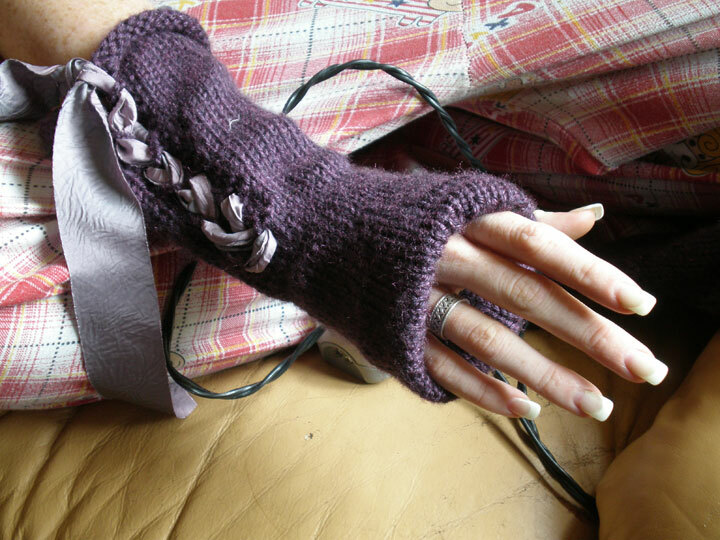 My daughter’s hands are almost an exact replica of my own so when I knit her these gauntlets I used my own hands for measuring. Problem is, my hands are bigger. My hands are huge. I’m stitching up a hand to put on an apron I made. I traced my own hand for the pattern and it looks like it may take up the entire body of the apron. Suddenly I feel like I’m mostly hands. Enormous bony paws without the french manicure. If I had a french manicure I’d scare people. Maybe I scare people now.